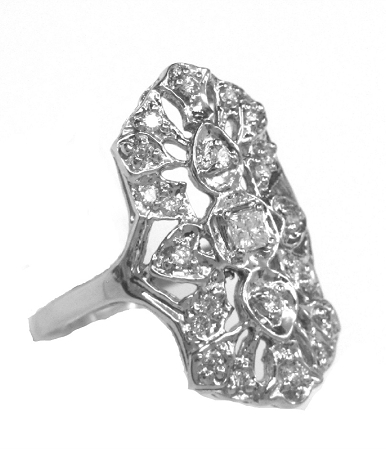 Ladies 14kt white gold diamond ring. 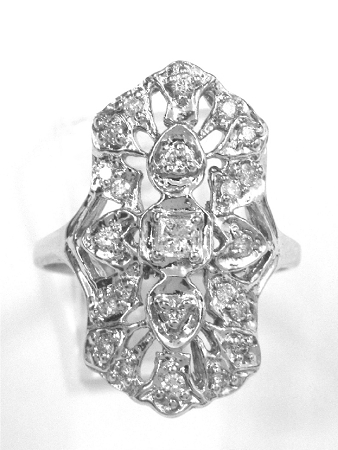 Mounting is set with 1 princess cut diamond and 22 brilliant round cut diamonds weighing approximately .60ct tw. Ring comes with insurance appraisal. Please specify finger size when ordering.